From January to June 2018, there were already 17,120 vehicular accidents on U.S. roads. By the end of the year, road crashes resulted in 40,000 people losing their lives. Although many only sustained minor injuries, their count was still in the millions. Last year, 4.5 million people suffered non-fatal injuries after a minor accident on the road. Because a car crash, regardless if it’s only a fender bender, can still result in bruises, cuts, and whiplash. So, what to do after a car accident that’s not so serious then? First, try not to panic and take a few big gulps of air. Then, make sure you follow these steps. The initial shock a car crash can cause numbness, so you may actually have an injury without realizing it. Be sure to check your head and body for lacerations or bleeding. If there’s none, check your other passengers for the same symptoms. Call 911 if someone becomes unconscious or has a continuously-bleeding cut. In fact, dial those digits if you’re in doubt of the extent of someone’s injuries. As much as possible, don’t move your vehicle, unless it’s blocking the way of traffic. It’s best to wait for the police to arrive at the scene before moving your car to the side of the road. If you have to move it, do so only after confirming everyone in your car is only shocked but otherwise fine. Put your hazard lights on too before you exit the vehicle. Then, check the driver and passengers of the other car to see if they need medical help. Call the police as soon as you can, regardless of how minor the car accident is. In some states even, like Nevada, notifying the police is a legal obligation. Even if it’s not in your state, it’s still a vital part of the car accident procedure to determine fault. The police will document all the details of the crash and protect everyone’s rights. Do this even if you crash your car without anyone getting hurt or if you’re the lone party involved. It’s even more important to ring them up if the other party claims the crash is your fault. The police will investigate to determine who’s to blame for the incident. Contacting the police ensures you safeguard your personal interests. This’ll also help you once it’s time to make a claim with your insurer. Your insurance company will ask you to submit the police report. Filing an accident report ensures that all facts surrounding the crash get documented. Sometimes, traffic accidents lead to delayed symptoms, like those associated with whiplash injuries. Some also only show up after you go to a diagnostic center for tests. So, call the police right after the accident specially if the other driver’s negligence caused the crash. 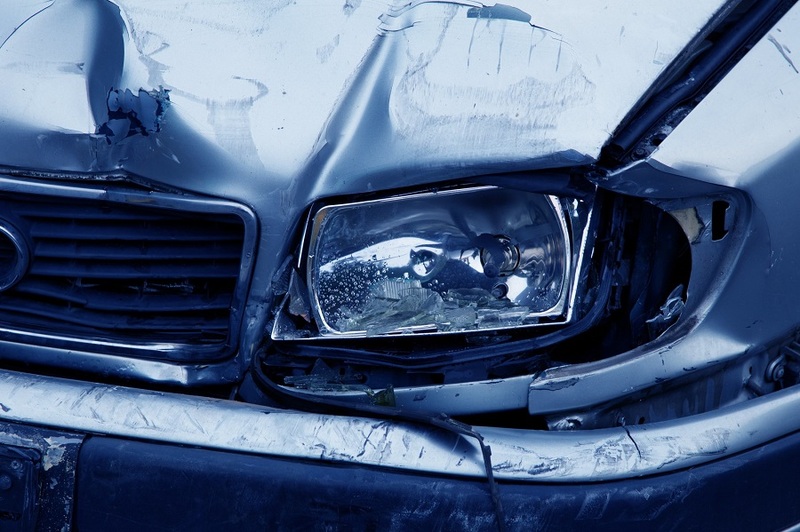 You can find more info here about negligence and personal injury after a car crash. True, this is easier said than done, especially if both you and the other driver know it’s their fault. But trust us — controlling your emotions will help you explain things better to the police. Getting upset is normal, but yelling and showering insults will only make you look bad. Be ready for drivers who play the blame game too (yes, even if they’re at fault). Never accept fault and ignore those claims that you’re the culprit behind the crash. Try your best to remain calm while asking the other driver for their insurance details. Limit the conversation to only asking the other driver’s personal and insurance information. List down the driver’s name, address, and contact details. Be sure to collect the driver’s insurance company name and policy number. Other than that, there’s nothing else you should talk about with the other driver. Only share the details of the accident with the police, medical services, and your insurer. While waiting for the police, list down as many details about the other vehicle. These should include the license plate number, make, model, and year. Get the vehicle registration information from the other driver too. Also, if you’re like 77% of Americans, then you always carry your smartphone with you. Take advantage of that and get as many photos of both vehicles in various angles as you can. You can use these as proof when you file a claim with your insurer. Other important details to note are the date, time, and exact location of the accident. List down the direction you were driving to and the direction the other driver was traveling in. All these will help the police and the insurance company determine fault. Take note of the weather, visibility, and other driving conditions too. If there’s any witness, get their names and contact details as well. Be sure to also get the police officers’ names, badge number, and contact details. If possible, use the voice recorder of your phone to recount the details of the accident. This can be helpful in case your brain clams up and forgets many of the details of the crash the next day. It’s best to record the information now, while it’s still fresh and you can still remember most of it. Call your insurance provider while the police are still at the scene. This way, they can help you explain what happened in case you’re still in shock. You don’t have to provide them all the details right away, but notify them as soon as you can. Tell them that you’ve noted down everything you can about the accident. They’ll let you recover from the initial shock before asking you for the documents. Even a minor accident can leave the most experienced motorists in a daze. It’s even more traumatizing for the less-experienced drivers. But by knowing what to do if you are in a car accident, you can protect your rights and personal interest. Don’t forget to pay your doctor a visit right after the crash too. This’ll help uncover any delayed symptoms of a crash injury, such as whiplash. Final tip: Have your eyes checked and tested following a road accident. A blow to your head may have damaged nerves involved with your vision. Check out this guide we have on eye care and visiting an eye doctor.